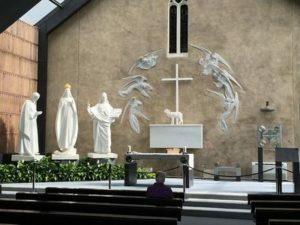 Situated in Knock, County Mayo, Knock Shrine is a place of reverence and pilgrimage for many worshippers and visitors. The Shrine offers a museum, daily Mass and other points of interest and faith. Knock is believed to be the site of an apparition of Our Lady. Visiting Knock is one of the most spiritual things to do in Ireland. 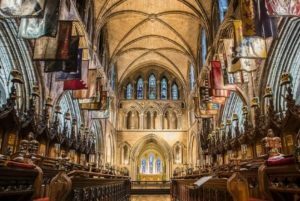 The tallest and largest church in Ireland, St. Patrick’s Cathedral is the spiritual center of the city of Dublin. The cathedral features some stunning iconography, Gothic architecture, and religious culture. The cathedral was founded in 1191 and has a rich history, which is illustrated throughout the building. Tours of the Cathedral as well as daily Mass and Eucharist are all to be availed of. It is an essential stop on any spiritual tour of Ireland. 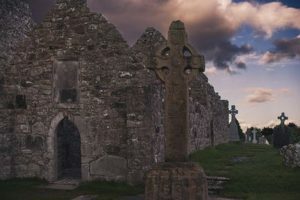 The Clonmacnoise Monastery is one of the oldest houses of worship on the entire island of Ireland. Founded in 544 AD by Saint Ciarán, the monastery is situated in Co. Offaly and has a closely entwined history with the Kings of Connacht. 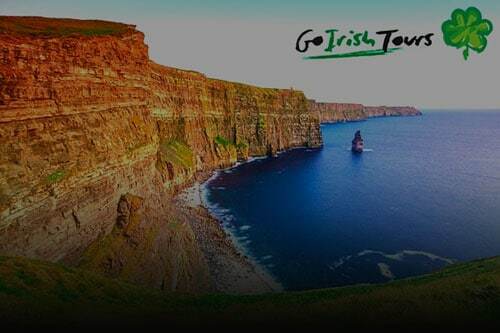 The site is comprised of Cathedral ruins, seven churches, two round towers, three high crosses and the largest collection of Early Christian tombstones in Europe. 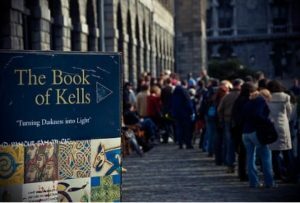 The sparkling jewel of Ireland’s historical and spiritual artifacts, the priceless Book of Kells has resided in Trinity College Library for decades. The book is a must-see exhibit, featuring the four gospels of the New Testament and stunning illuminations. Trinity College is also home to the famed Long Library and has plenty of spiritual and historical things to learn.